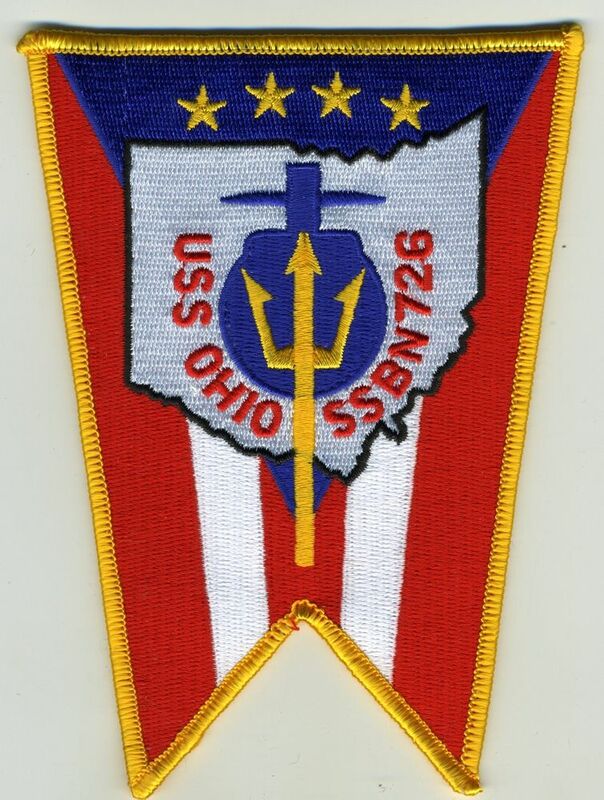 April has always been submarine month for the United States Navy. Because the Holland had been purchased on April 12, 1900, the submarine community always celebrates the first official modern submarine purchase as its birthday. As I have been exploring the development of the Polaris submarine program and ensuing submarines, I have studied a number of comments including the official congressional records regarding Polaris. So it was interesting to reread the story about a congressional hearing in 1960 that was held on board the George Washington. 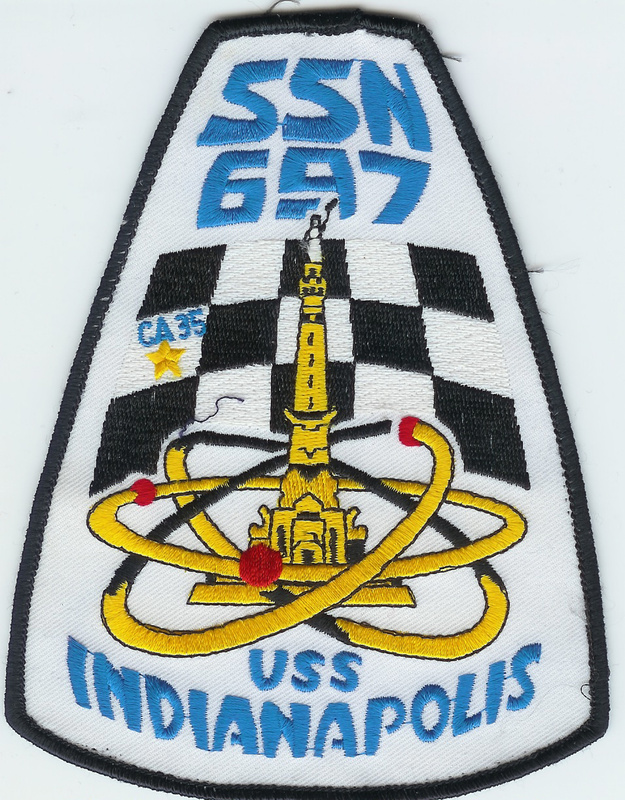 Until now, I had not noticed the significance of the date that was chosen for the first underway test of the Polaris missile system from the first ballistic missile submarine, USS George Washington. 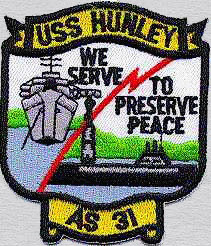 April 9-10 1960 was just a few days short of the 60th anniversary of the purchase of that first submarine, USS Holland. As I was writing this story, it also occurred to me that it has been almost sixty additional years since the first ballistic missile launch which would occur in July of 1960. So much has changed in the world, yet so much remains the same. We still have ballistic missile submarines ranging the deep oceans. And there are still some people and tyrants around the world that would challenge freedom. This is the story of the second “Shot Heard Round the World”. I have only included the introduction and several of the appendixes that are related to the actual events of April- July of 1960 that changed the world of nuclear deterrence forever. 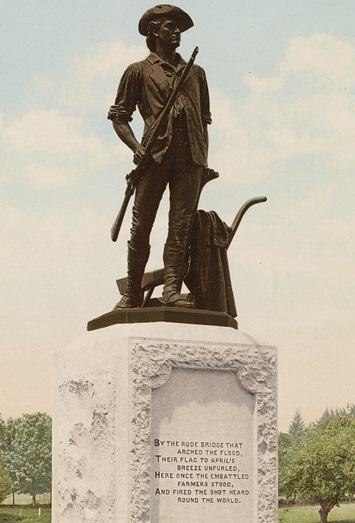 It is somewhat ironic that the name George Washington is associated with both the revolutionary war that gave us our freedom and the submarine which surely guaranteed it. 1330 Station the maneuvering watch, line handler’s topside when directed. Rig ship for dive. Do not pass words to bridge or test alarms until directed. 1515 Operate with PATRICK HENRY. 1600 Official party assemble topside for surface sabot shoot. 1615 Official party go below—secure topside for dive. 1625 Dive for trim and submerged sabot launch. 1650 Set condition 2 SQ. 1700 Set condition 1 SQ. 1701 Start sabot ripple fire. 1710 Secure sabot launch. Secure from Battle Stations—Missile. 1715 Informal tours of ship for guests. 1725 Surface—proceed to lane ZULU for submerged operations. 1745 Catholic Mass in Torpedo Room. 1800 Evening meal in wardroom—first sitting. 1845 Evening meal in Crew’s Dinette. 1945 At 35 fathoms curve—dive. 2245 At 100 fathoms curve. Conduct submerged operations. 0100 Secure submerged operations return to port. 0700 Catholic Mass in Torpedo Room. Protestant Church Services as announced. 0930 Moor Electric Boat Division—Official guests depart. Washington 25, D.C., July 20, 1960. News release, please note date. A POLARIS test vehicle was launched from a submerged submarine today in the first full scale test of all elements of the Navy’s fleet ballistic missile weapon system. The submarine making the historic launch was USS GEORGE WASHINGTON, first of the nation’s nuclear powered missile launching submarines and one of two scheduled to be deployed this year on operational patrol. The submarine was cruising submerged about 30 miles off Cape Canaveral, Florida, in the Atlantic at the time of the test, 1:39 P.M. (EDT). The launching and test flight were evaluated as successful in meeting all the test objectives of a live missile launch from beneath the surface of the ocean and guided flight to a pre-selected impact area. Range of the flight was more than 1000 nautical (1100 statute) miles. Washington, D.C., July 20, 1960. A second POLARIS test vehicle was successfully launched from the USS GEORGE WASHINGTON at 4:32 P.M. (EDT) today. Earlier today the first launching of a POLARIS test vehicle from a submerged submarine was made at 1:39 P.M. (EDT). 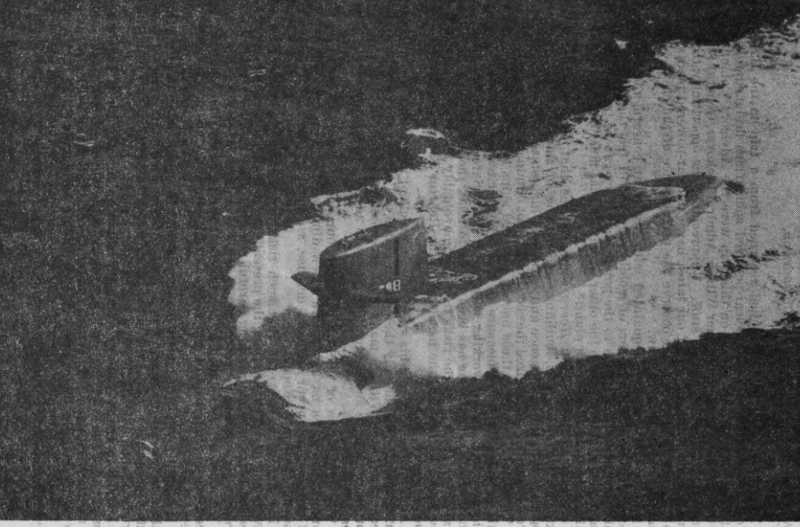 In both launches, the GEORGE WASHINGTON was cruising submerged about 30 miles off Cape Canaveral, at the time of the tests; the launching and test flight were evaluated as successful in meeting all test objectives of a live missile launch from beneath the surface of the ocean and guided flight to a pre-selected impact area. The range of the flight was more than 1000 nautical (1100 statute) miles. Info: USS GEORGE WASHINGTON//CINCLANTFLT//COMSUBLANT//COMSUBRON 14//SPO WASH DC. 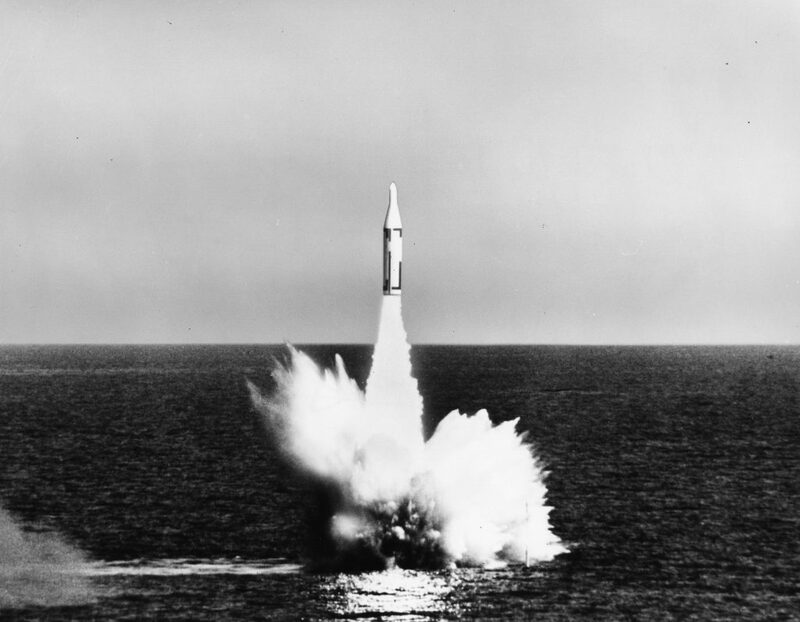 The free peoples of the world must be cheered tremendously today by the Navy’s success in its first firing of a Polaris missile from under the sea. Once again, the Navy has dramatically illustrated the direct relationship that exists between the oceans of the world and the preservation of freedom. It is not an accident that most free nations of the world have at least part of their border on the sea, for it is from the oceans that the Navy can support a nation’s desire to remain free, using the precise amount of power required—quietly and effectively—to ensure this freedom. As Polaris-carrying submarines take their unknown stations throughout the world, the knowledge by free peoples of the world—and those desiring freedom – that a Polaris submarine MIGHT be in the depths of international oceans, will give them additional determination to guard their freedom with every facility at their command. This knowledge may even instill new confidence in those nations who have been threatened by aggression from communism, or who face such threats in the future. Such nations, even if they do not have a border on the sea, can now face aggressive threats with renewed resistance, knowing that a Polaris submarine may be cruising within range of the aggressor nation. The men who man these submarines must have great technical competence, for in their ship may lie the instrument which will determine whether our civilization, with its unshakeable trust in God and belief in the dignity of man, will remain free or whether it will fall to the ravages of communism, with its debasement of human character. You and the many people who had influence on this achievement can take great pride in the contributions you have made to this civilization and the preservation of the free way of life. Arleigh Burke.